SPECTACULAR LOCATION AT THE TOP OF MUMMY MOUNTAIN! 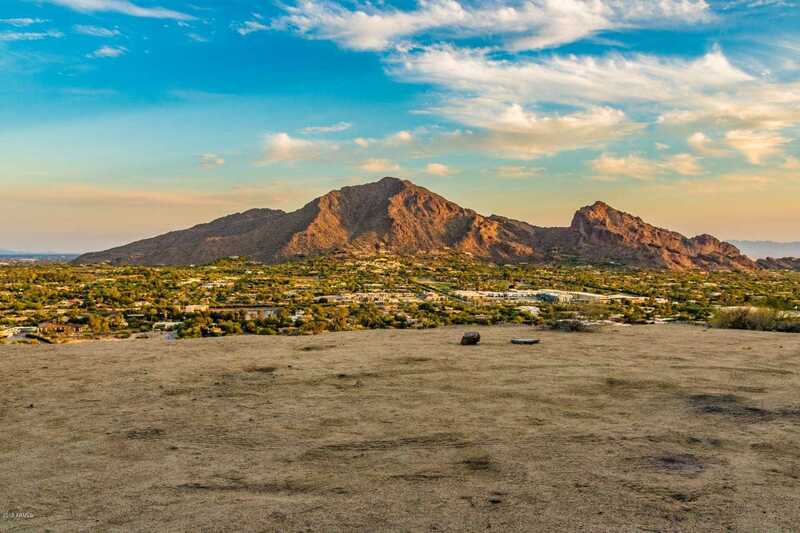 PANORAMIC VIEWS OF CAMELBACK MOUNTAIN, DOWNTOWN PHOENIX AND THE EAST VALLEY. A PAD WAS GRADED YEARS AGO. THERE WAS ALSO A PROPOSED VARIANCE WITH A MAY 2017 SETBACK APPROVAL FROM THE TOWN OF PARADISE VALLEY, FOR APPROXIMATELY A 5500 SQ FT HOME TO BE BUILT ON THE SITE. THIS IS A ONE OF A KIND OPPORTUNITY. TAKE A LOOK AND YOU WON’T BE DISAPPOINTED.